ZIMBABWE – Foreign companies in Zimbabwe will now be increasingly under financial scrutiny from the government as it seeks to boost its waning revenues. The central bank is moving in to rule out free funds, tighten the screws on financial outflows and exempt South African tourists using the rand in the country from paying VAT (value-added tax). Zimbabwe is already squeezing foreign firms, including those from South Africa, through an empowerment drive that compels them to cede 51 percent of their shares to locals. It has also announced that areas such as retail, agriculture as well as agro-processing would now be reserved for local investors. South Africa has also been recognised as a major source market for tourist arrivals into Zimbabwe, with the central bank saying “most of the tourists coming into Zimbabwe are from South Africa and China” and advising that tourists from across the Limpopo be exempt from paying VAT as long as they are using the rand during their stay in the country. Foreign and multinational companies in Zimbabwe include British American Tobacco, Tongaat Hulett, Pick n Pay, Impala Platinum and SABMiller. Zimbabwe has accused most of these companies of externalising liquidity and discouraging free flow of funds inside the country. “Industry is already in a tight squeeze because of growing demands from the government for more revenue contributions. This is a clear indication of a government that is desperate to get into bank accounts,” a corporate executive said. The central bank said it had “observed increased service payments between related companies, especially holding companies and their subsidiaries or sister companies” in other countries. Some international companies were “inflating service fees in order to externalise foreign currency” resources, it added. “It is evident that some local entities are being used as cost centres. Such unwarranted behaviour is punishable… In order to guard against externalisation by related companies through service payments, management fees, technical fees, service fees or by whatever name they come under, shall not exceed an aggregate of 3 percent of revenue and shall require bank approval,” Reserve Bank of Zimbabwe governor John Mangudya said. 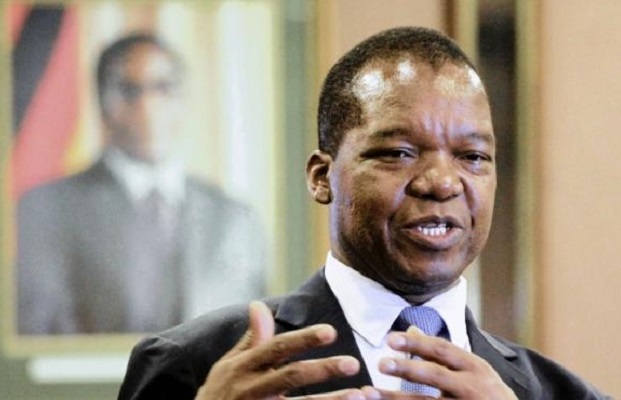 Mangudya added that the central bank would, with immediate effect, conduct on-site and ex-post validation of the operation of all companies that had parent or sister companies in other countries. Zimbabwe was now also ”dispensing with the concept of free funds under a multi-currency system” as it was a “misnomer which brings distortion and lack of transparency in the use of foreign exchange” resources. “Notice of not less than a day should be given to financial institutions for all cash withdrawals of an equivalent amount of above $10 000 (R160 000),” he said. Apart from the tight measures aimed at plugging financial leakages from companies, Zimbabwe had also announced measures to ease the business climate for investors. This was aimed at attracting foreign direct investments into the country, economists told Business Report. Foreign investors will now also be allowed to inject capital into local entities with the view of participating in the risk and return of the company (profit sharing). This will be allowed for sectors such as mining, agriculture and manufacturing, although the bank stressed that the funds provided under this should not be equity or debt funds while they would also require regulatory approvals. Zimbabwe missed revenue collections for last year by 7 percent and the World Bank said on Wednesday that growth would be 1.5 percent this year, compared with growth projections by the government of about 2.7 percent. “The fundamentals for recovery are still strong but the headwinds are increasing. These headwinds and the brunt of economic corrections, both domestic and global, will likely be most deeply felt by the poor,” the World Bank said this week.